Kids toys as a tool? The toy I'm referring to is kinda like silly putty except for it being very spongy. But can it be used on a car or Jeep. Yes and it works very well! This massive dizzy I bought really looked like it wasn't gonna clear the bottom of the hood. So, out comes the spongy stuff to make sure. See YouTube video at the bottom of the page if you like. Think that you may have a hood clearance issues? Then go to the toy section of most department stores and pick up some silly putty or any squishy mold-able putty will work for this. Roll you up a bit of it making the base is large enough that it can stand on its own. Also making the roll tall enough that you will get an impression of the hood when you close it. Stick the putty to the highest point of the engine. Close the hood, depending how tight the clearance is you may want to close the hood slowly so that you don't damage the engine part or hood. If you think the clearance is tight. Sit the hood down without latching it. Pick it up and look at the putty. Did the hood hit the putty causing a flat spot? Now .. close the hood a little more and recheck. 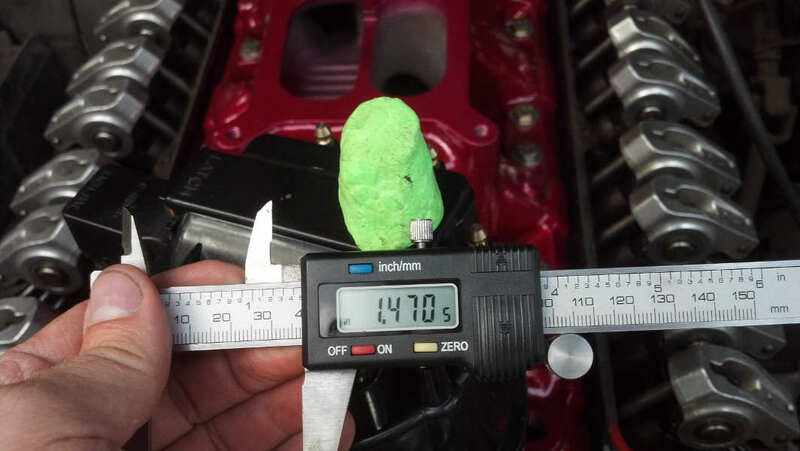 Yes .. How tall is the remaining putty from the top of the flat spot to the engine part? Is there enough clearance to close the hood a little more? If so, just push the hood by hand a little more each time to ensure you can keep track of the putty getting squished or the part hitting the hood. If you get the hood completely latched and the part didn't contact the hood. Check to see if there is enough clearance that when the motor rocks on its mounts that it doesn't contact the hood. Me personally, if I have at least around a 3/4" between the part and the hood. Everything should be fine unless your engine mounts are old and wore out. Then you should replace the mounts. If you have tons of torque pulling at the mounts you may want to have a bit more clearance to accommodate the mounts flexing. You will notice in the YouTube video that I used that Super Putty to simulate checking valve/piston clearance. Use real "Play dough" or "Silly Putty" for that, not that foamy stuff I demo'ed in the video. That foam putty rebounds or expands back up a bit after being compressed. It would not give you an accurate reading at all. When you have metal engine parts moving at several thousands of cycles per minute, you have to have accuracy within thousands of an inch. 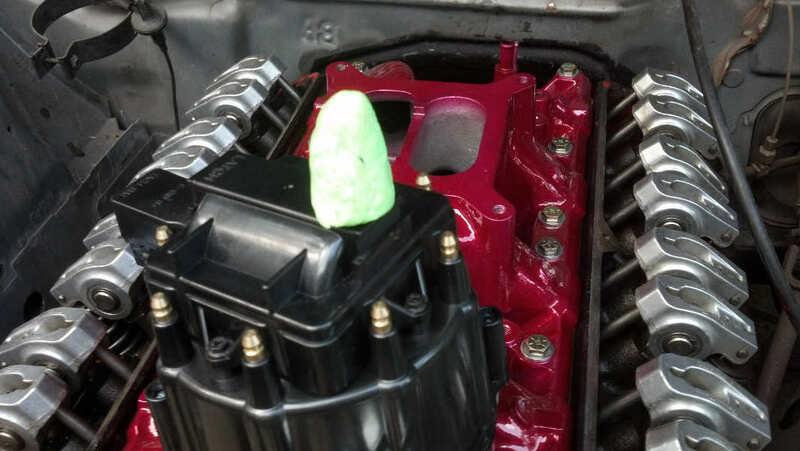 When I build another engine I will demonstrate the proper technique using the correct putty. But again .. who would have ever thought of using kids toys as an automotive tool!